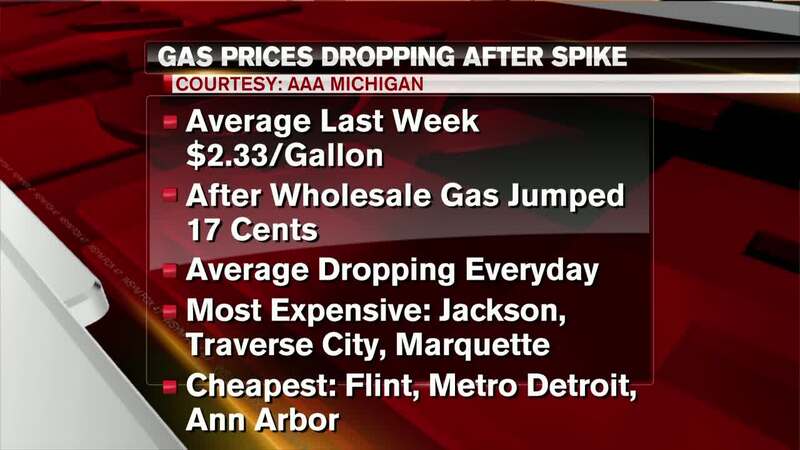 DEARBORN, Mich. (AP) — AAA Michigan says average gas prices statewide are up about 14 cents from a week ago to about $2.29 per gallon. The state's highest average was about $2.35 a gallon in the Traverse City area. The lowest average was about $2.23 in the Flint area.